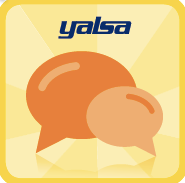 Badges: You’ve probably read posts on this blog about the YALSA badging project which will help library staff working with teens gain skills in the areas covered by the association’s Competencies for Librarians Serving Youth. A key aspect of the badges is that participants will get the chance to show what they’ve learned by creating artifacts. They’ll share those artifacts with other library staff serving teens. 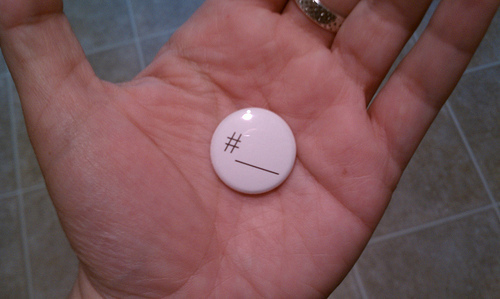 And, they’ll get feedback from those staff who will be members of the YALSA badging community. That’s a great way to learn and a great way to improve what you do. Not only that, when a learner completes an activity in the badge program, he or she will actually get a virtual badge. That’s a great way to show what you know to employers – potential and current – colleagues, and friends. Google Hangouts: Over the past few years Google Hangouts have become a popular way for real-time professional development. In May YALSA joined connected learning tv to talk about the future of libraries and teens. Each week different practitioners and experts talked about the topic and participants got a chance to ask questions, chat with each other and add ideas to a Google Doc. This is just one example of the different Hangouts taking place that provide PLN learning opportunities to library staff working with teens. The edreach network has a wide-array of Google Hangouts that they sponsor for educators and connected learning tv continues to sponsor weekly Hangouts each coinciding with a month-long theme. Even if you can’t make these Hangouts live most are archived and available on YouTube. Twitter Chats: In most cases this is a professional development opportunity that works best if you can participate in real-time. And, in most cases it’s worth your while. Twitter chats are usually hour-long conversations on a specific topic. Participants use a hashtag to make sure that the tweets are categorized and easy to search and follow. A great thing about these chats is that they are fast-moving and scripted very minimally – many chats have a series of questions that Tweeters answer during the session. I’ve been amazed at how much one can learn in the short 60 minutes. YALSA periodically sponsors Twitter chats. Other chats that might be of interest include #titletalk, #edchat, and #tlchat. MOOCs: You might not have had a chance to learn about MOOCs. What are they? Massive Open Online Courses. These are classes that can have thousands and thousands of people in them. They are online and the idea is that people like you and me can take a class, with many others, that might not be possible to take without being in the MOOC format. Institutions ranging from Yale to the Exploratorium offer content using the Coursera MOOC platform. In the summer Syracuse University School of Information Studies offered a MOOC course on new librarianship. MOOCs are often structured similarly to traditional online classes, but the availability of content and ability to connect with a large group of others interested in the same topic as you are, makes them well worth checking out. Think about it, when you have the chance to meet with colleagues face-to-face isn’t it often that the most useful aspect of that time is learning directly from each other. You don’t have to do that face-to-face. You can do that in the virtual world and do it in a variety of ways. You might need to help colleagues and administrators recognize that there are these new ways to learn about libraries and the work you do and that it’s worth your (and their) time. It might take a little time to help them understand that by being in a Twitter chat, or earning a badge and getting feedback on your work, you are learning to improve what you do for the library, teens, and the community. It’s worth it. It’s fun, it’s exhilarating, and it’s inspiring. Tagged Badges, connected learning, MOOCs, professional development, Twitter Chat.